This is 5.56 Speer Lawman Lake City M193 55gr. FMJ ammo. This ammo was manufactured by Lake City to U.S. Military M-193 specs. This is considered to be the best 5.56 55gr. ammo money can buy. It is brass cased, boxer primed, and 100% non-corrosive. 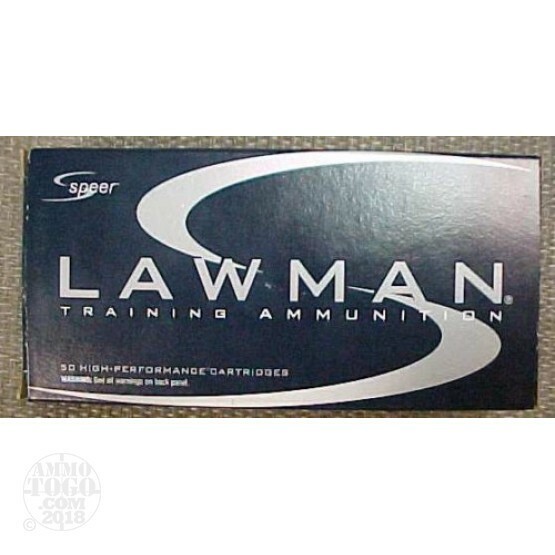 It is packed in Speer Lawman Law Enforcement 20rd boxes, 500rds per case.